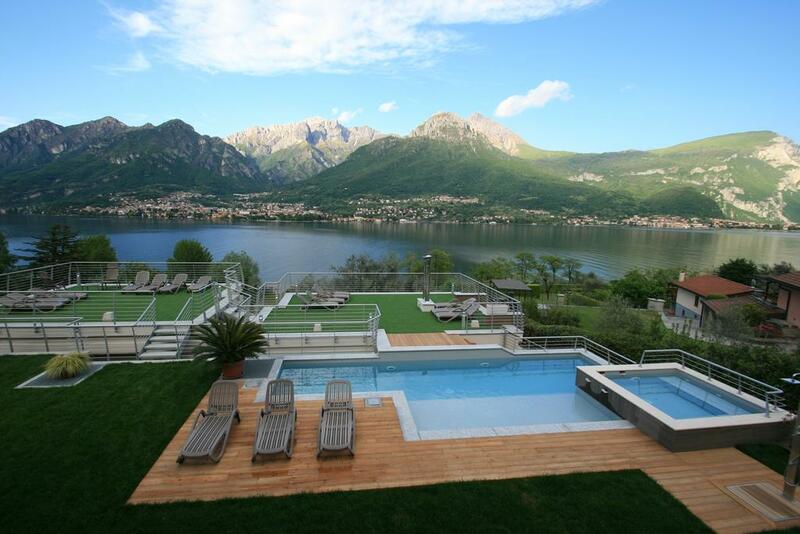 There are some fantastic luxury hotels and villa rentals here on Lake Como. Here are some of our top picks. There is nothing more relaxing than sitting back looking out to an incredible view, over the lake and surrounded by lush green mountains. Offering a seasonal outdoor pool and views of the mountains, Bellagio Village is set in Oliveto Lario in the Lombardy Region, less than 200 metres from the beach and 1.2 km from the nearest ferry port. Free private parking is available on site. Read more, read reviews. This property is a 8-minute walk from the beach. With its lakefront and central position in Menaggio, Hotel Bellavista features a restaurant, a bar with panoramic terrace and classic rooms with TV. A free outdoor pool is available in summer. Hotel Bellavista is only 150 m from the pier on Lake Como where ferry boats to Varenna and Bellagio leave. Read more, read reviews. A wellness centre and views over Lake Como, Madarin Oriental Resort & Spa is a historical villa in Blevio. It features a fine restaurant, free indoor and outdoor pools, free parking and vast gardens. The CastaDiva wellness centre includes a Finnish Sauna, salt cave, Turkish bath, and relaxation pools. Guests will also find massage rooms and a modern gym with Technogym equipment. Read more, read reviews. Owned by 4 generations of women since 1880, Hotel Belvedere offers panoramic views of Lake Como. The private garden has a swimming pool with a hot tub. Parking is free. The Belvedere also has a new spa with Turkish bath, sauna, therapeutic showers, and relaxation area. Face and body treatments are available in the spa area. Read more, read reviews.